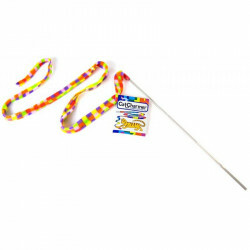 Cat Dancer was the first nationally marketed interactive cat toy. Since that time, numerous variations on the original idea of a toy to play with your cat have come to market, but not all can replicate Cat Dancers original, innovative, effective design. Cat Dancer is used in millions of homes and is singled out by veterinarians for its safe design. 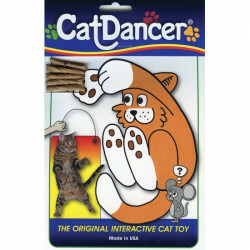 Since 1983, Cat Dancer has been devoted to making the very best toys for cats, all of them manufactured in the Cat Dancer factory in Neenah, Wisconsin. Each and every toy Cat Dancer creates is independently tested and certified safe for use, including the tests necessary for childrens toys in both Europe and the United States. 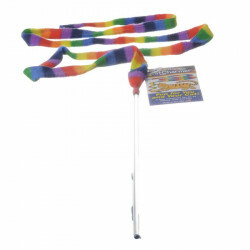 Be sure to browse all of our Cat Dancer pet products to make sure you find just the right toy to keep your cat mentally engaged and physically stimulated. 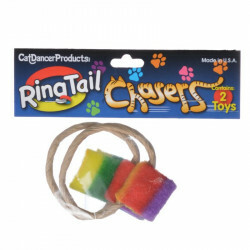 Pet Mountain is pleased to be a leading vendor of great Cat Dancer pet products. 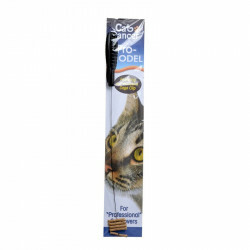 Pet Mountain is proud to offer you a wide selection of Cat Dancer pet products, at the very best prices available anywhere! Take a look at all of our huge selection of great deals! Cant find something youre looking for? Let us know! Wed love to help. Be sure to check out our online coupons and discount shipping on all your favorite products.